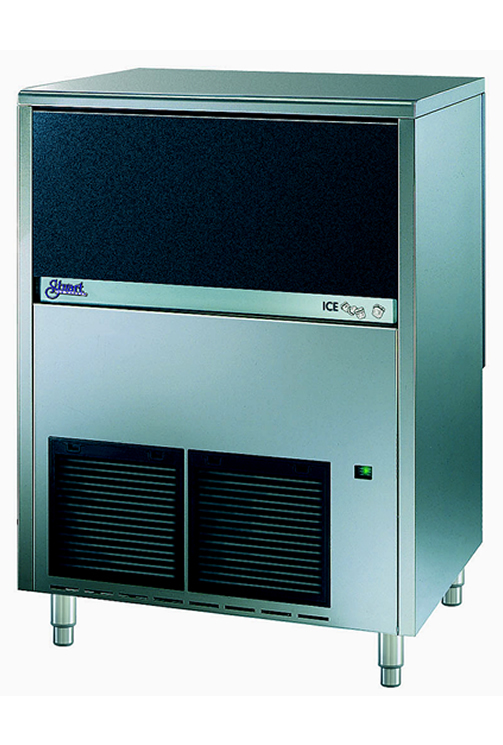 Stuart Ice Makers have been manufactured in Australia for more than 60 years. The technical knowledge and experience gained over 60 years of developing and manufacturing ice maker machines right here in Australia, have allowed us to export world wide including England, Turkey, Dubai, Vietnam, New Zealand, New Guinea and the Pacific Islands. We distribute Howe and Icesta Industrial flake ice makers (ice flakers) with capacities from 500kg to 60,000kg per day. Through our alliance with Icesta we can also offer tube ice machines from 1,000kg to 80,000kg per day and complete turn key large scale ice batching plants for use in the food processing and concrete industries. To support our ice makers we also distribute the world renowned Everpure water filters. We also distribute Shurflo Beverage and Beer pumps and manufacture a range of specialised stainless steel fittings for the beverage industry. Stuart Manufacturing provides quality commercial ice maker machines, industrial ice flakers, flake machines, commercial ice flaker machines. We have a range of ice cubers for all your business requirements. 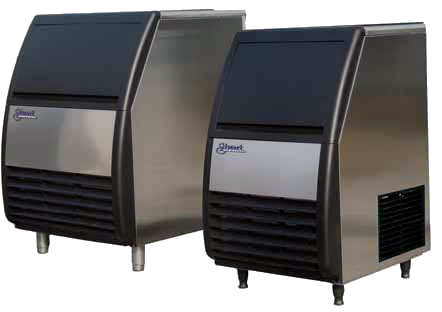 We have superior compact ice machines, ice cubers, ice makers, ice flakers and dispensers for seafood, hospitality and retail industries. The Stuart SCU range has been developed to perform in Australian summer conditions offering the convenience of an 8g square cube in an under bar style self-contained ice maker. Producing a cube of 22x22x20mm the SCU range provides the perfect ice for all those customers who demand solid ice in a more convenient size. The SCU range provides daily production capacities of 26, 35, 44 and 74kg. Food grade polyethylene liners and non CFC foamed-in-place insulation. Doors lift up and slide away under ice maker to provide easy access. 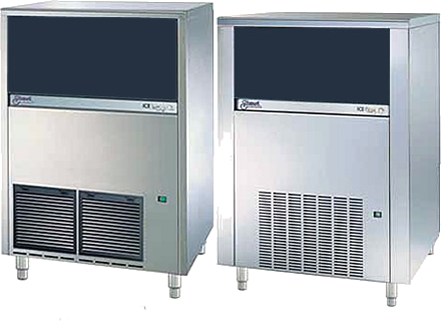 Can be supplied with adapta panels to fit a range of cube and flake ice makers. Compact granular ice ideal for use by restaurants, seafood wholesalers and retailers,food service areas, vegetable growers and wholesalers, laboratories. 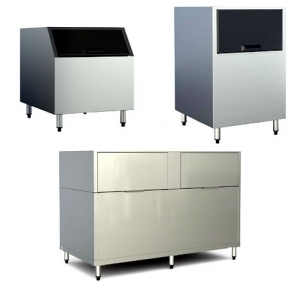 18/8 grade stainless steel cabinets with integrated food grade polyethylene storage bin. For Full Details. 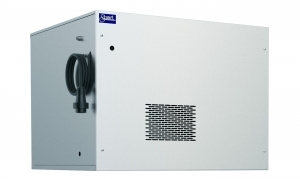 SSF090: Produces 90 kg of ice a day and stores 20kg. 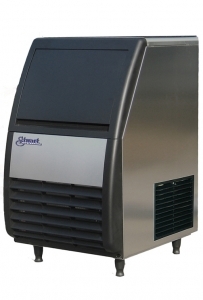 SSF150: Produces 150kg of ice a day and stores 55kg. Compact granular ice ideal for use by restaurants seafood processors, wholesalers and retailers, food service areas, vegetable growers and wholesalers. 18/8 grade stainless steel cabinets. SF160H: Produces 160 kg of ice a day. 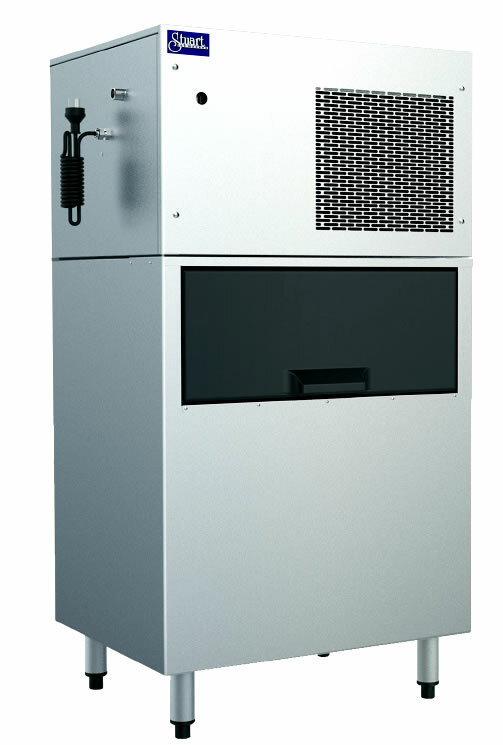 SF280H: Produces 280 kg of ice a day. SF510H: Produces 510 kg of ice a day. Food grade polyethylene liners and non CFC foamed-in-place insulatation. Doors lift up and slide away under icemaker to provide easy access. Supplied with adaptor panels to fit a range of cube and flake icemakers. Storage Capacity from 100kg to 750kg. Stuart Ice Makers has been distributing and supporting Icesta flake ice makers since 2008. 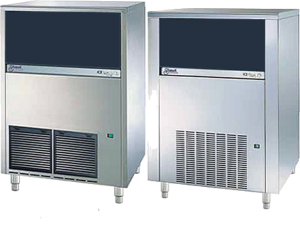 Icesta flake ice makers can be supplied as self-contained with condensing units or ice maker heads only for connection to existing refrigeration plants. 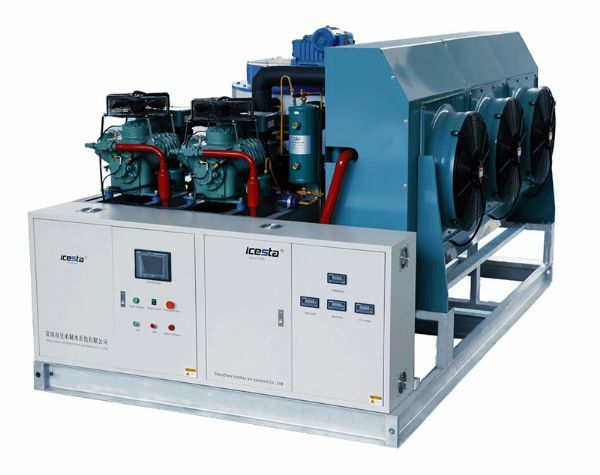 Icesta land based fresh water ice makers can produce from 500kg -60,000kg of sub zero ice per 24 hours. 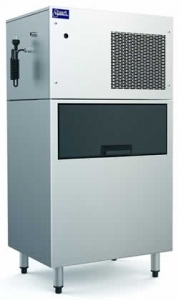 Icesta sea water ice makers can produce from 1,000kgs - 20,000kg per 24 hours. 100% subcooled ice with exceptional cooling power. 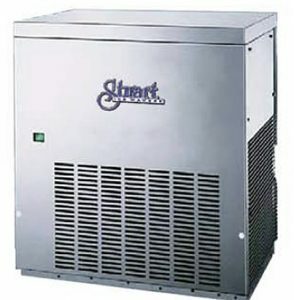 Stuart Ice Makers have been an Australian distributor for HOWE flake ice makers and parts for 20 years. 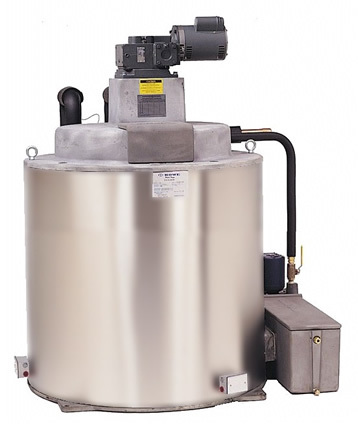 The Howe name has been a name highly regarded in flake ice makers for almost 60 years. The HOWE Rapid Freeze produces from 500 kg to 20 tonnes of flake ice daily. 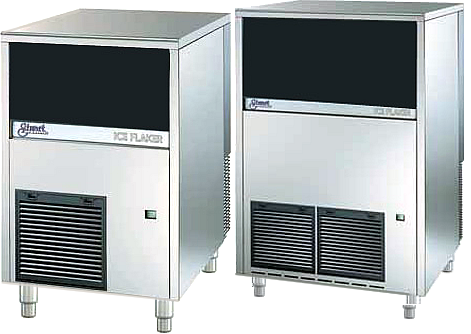 Sales and Service (02) 9773 3711Call for pricing on ice cubers, ice flakers and industrial ice machines. Website Design & Hosting Au Web Group.